High performance no longer means expensive and lengthy installation procedures. 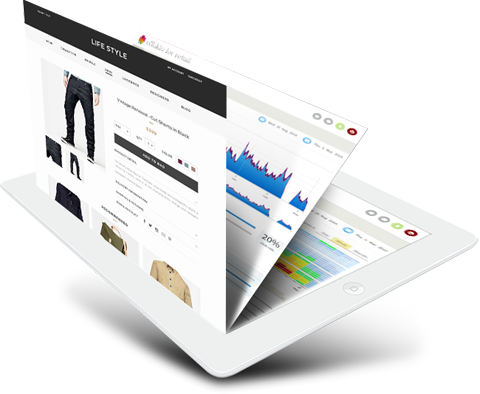 Our Cloud based platform gets your store to start tracking and analysing your customers in minutes, using our latest API’s and plugins. It’s free to install and trial, free of any time commitment; we won’t even ask you for a credit card. No sales tricks, no hassle, no commitments. You could have your site up and running by the time you finish browsing this site. If you’d like us to install nToklo for you, or assist your own technicians to install, then get in touch. Our engineers are available every day (business hours) to install it for you, it’s totally hassle free and costs nothing. Our lines are open from 10.00am until 5.00pm GMT every week day. Drop us an email requesting installation and include the email address for any person we should brief in the CC. We will take it from there. The nToklo API will help you provide a personalised experience for your customers. Integrate your Universal Variable objects with the Events API. Fetch product recommendations and charts. Improve your sales now! The following extensions have their own detailed instructions. Don’t worry, you can always ask us for help if you get stuck at any stage. Allows users of the WordPress e-Commerce platform to easily place recommendations and charts on their stores. The widgets have a range of layouts and colour schemes and all API integration is handled behind-the-scenes, making it quick and easy to set up. Displays personalised product recommendations and trending product charts through integration with nToklo for retail platform. Seamlessly Integrates with nToklo for retail recommendations API’s. The Extension allows you to easily manage where to put personalised recommendations and trending product chart widgets in your store. Then track the effectiveness of your recommendations through your nToklo commerce console. Allows users of the WordPress e-Commerce platform, who use the WooCommerce toolkit, to easily place recommendations and charts on their stores. The widgets have a range of layouts and colour schemes and all API integration is handled behind-the-scenes, making it quick and easy to set up. Copyright © nToklo Ltd 2015. All rights reserved.